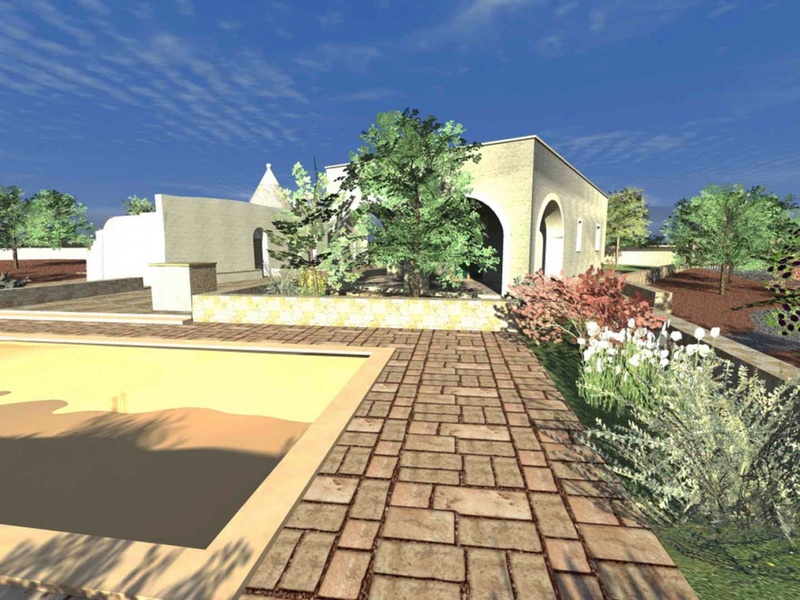 PRICE REDUCED FROM 380,000 EURO. 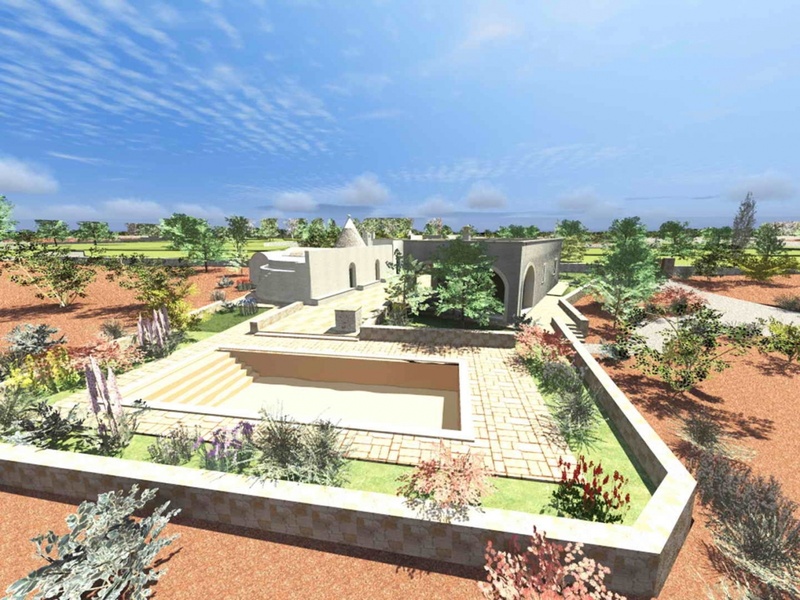 Trullo e villa Ulmo is situated in a quiet countryside location 4km from Ceglie Messapica in the direction of Martina Franca. 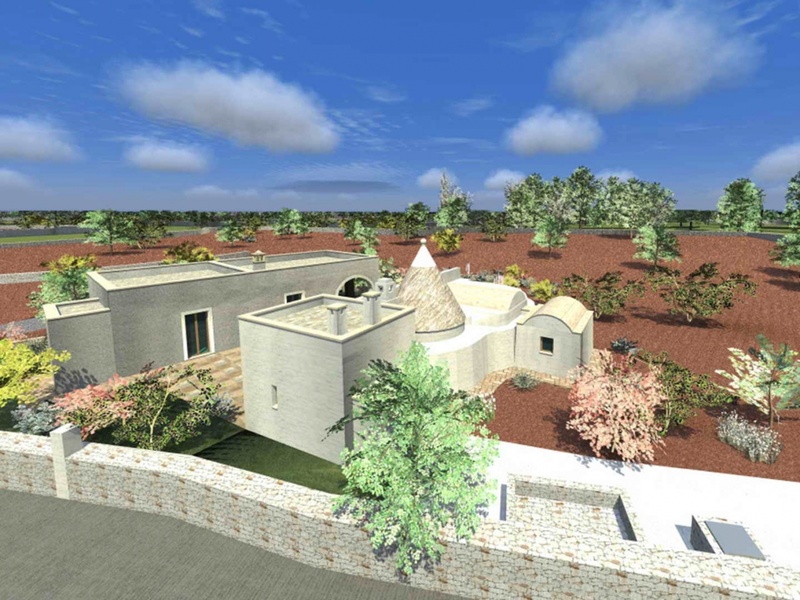 The property is a new build villa and a renovated and extended trullo, all finished to a high standard. 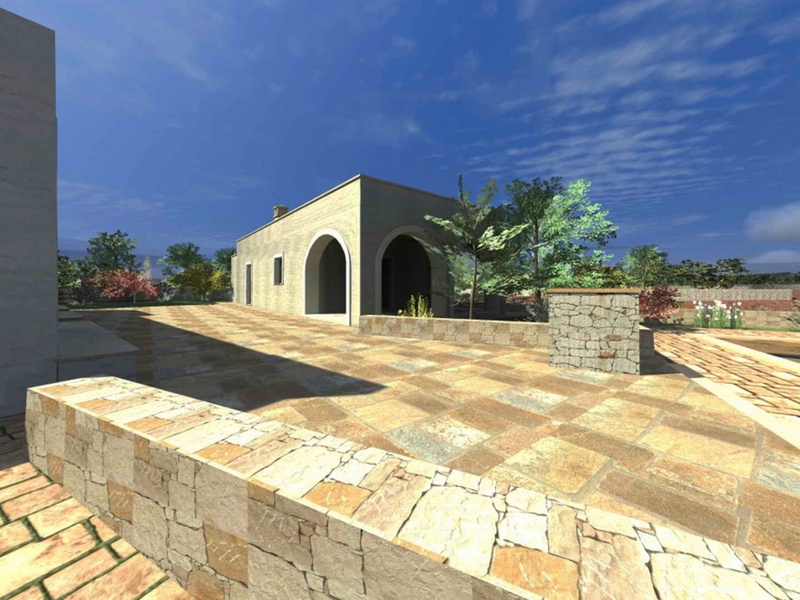 The land measures 2 hectares and there are 30 olive trees and a selection of fruit trees. 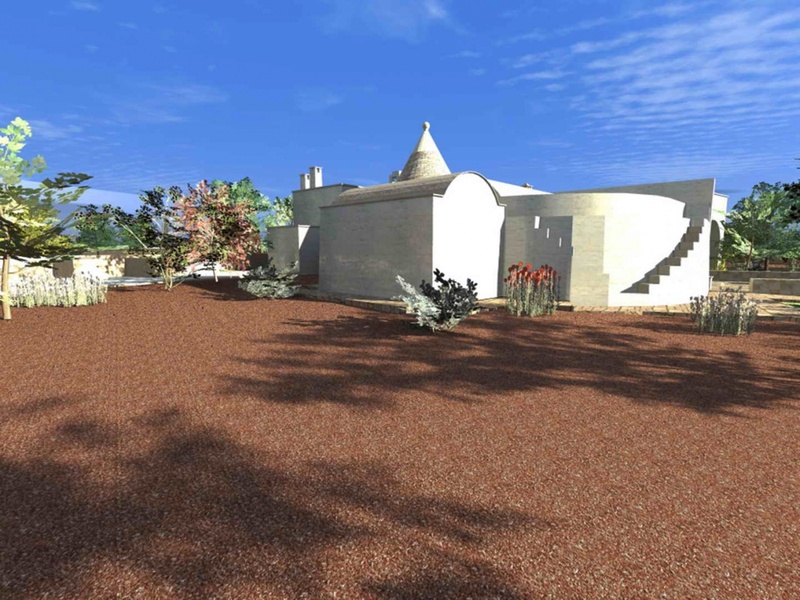 The original 1 cone trullo has been extended and will form accommodation consisting of 2 double bedrooms, 2 bathrooms and a small reception area with an original stone fireplace. 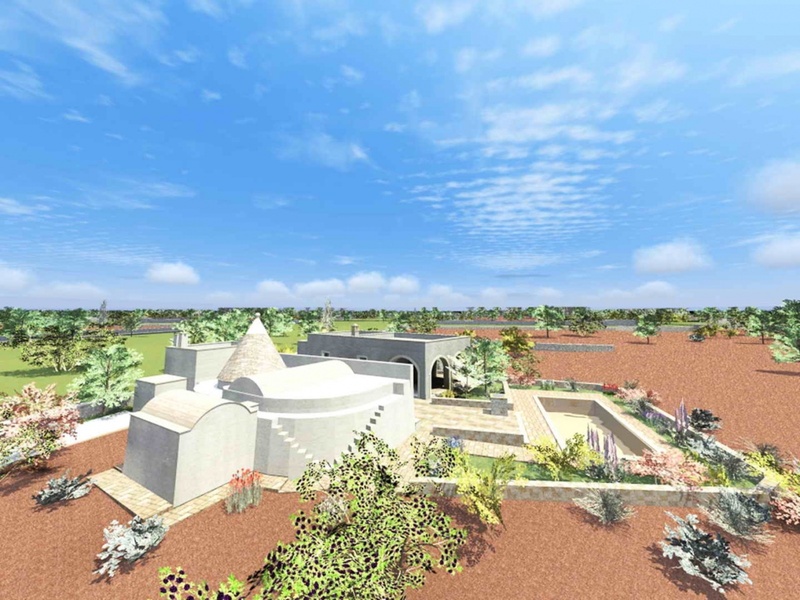 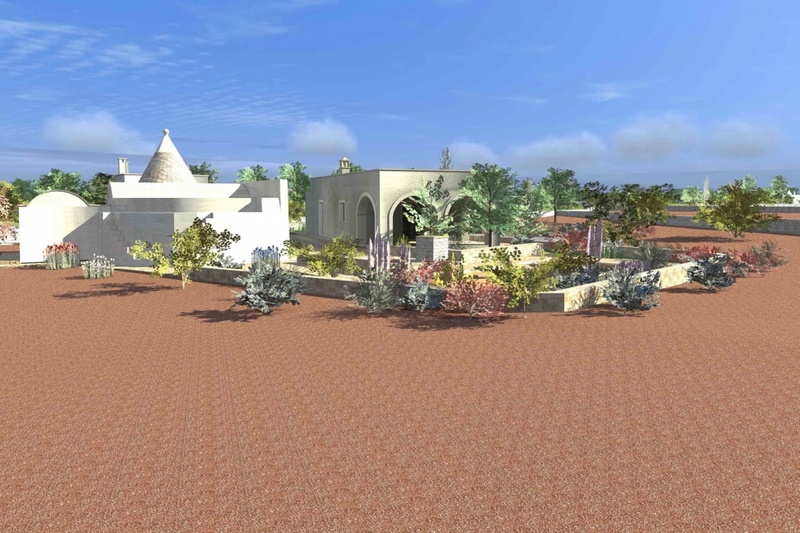 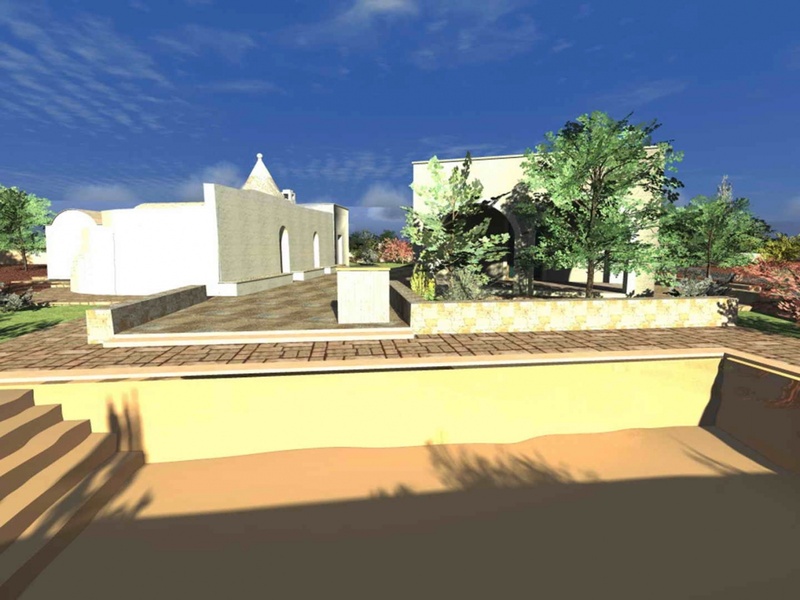 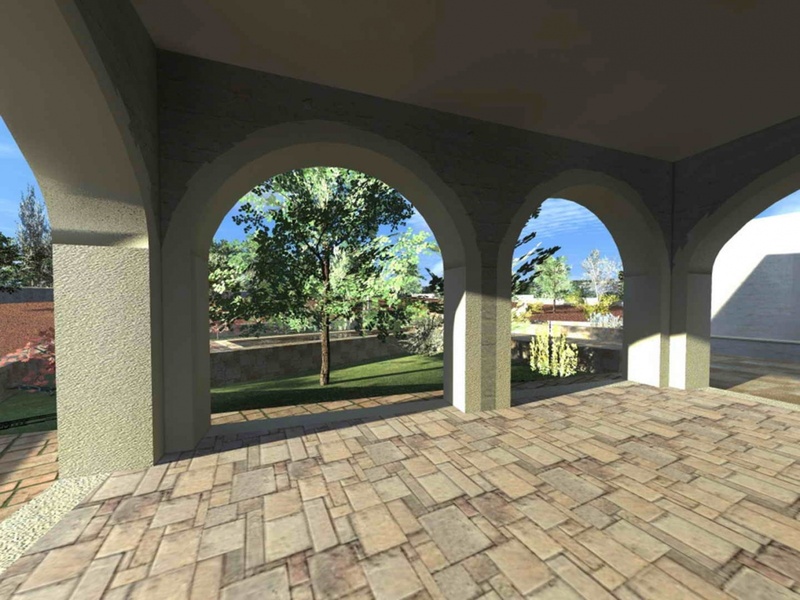 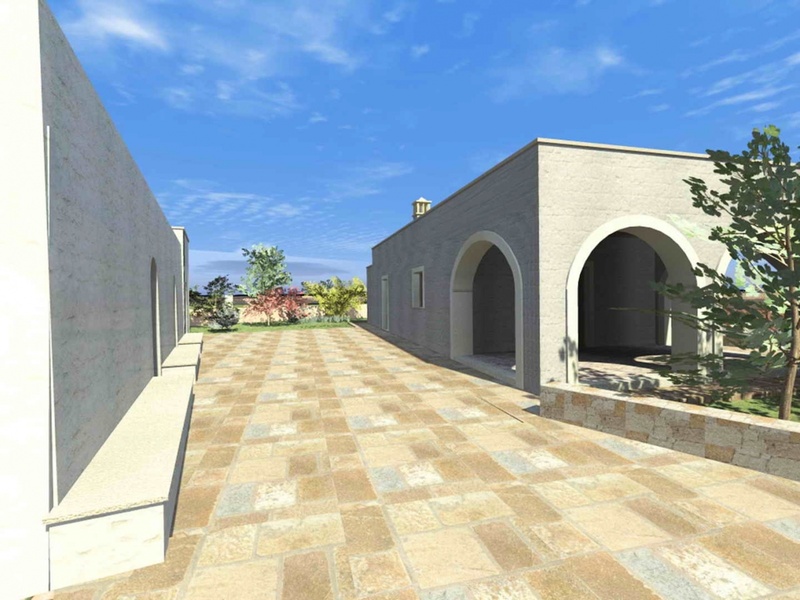 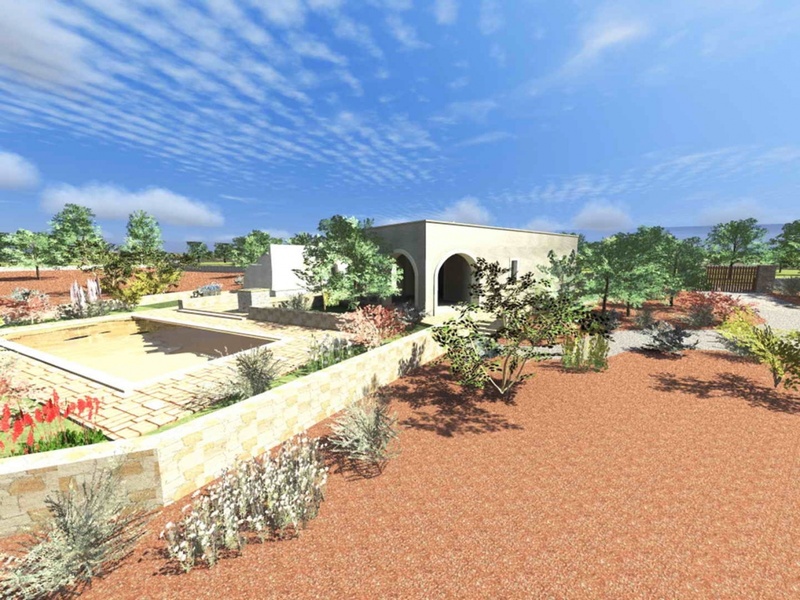 The new build will be positioned opposite the trullo and the accommodation in the villa will consist of a living/dining/kitchen area, 2 double bedrooms and 2 bathrooms. 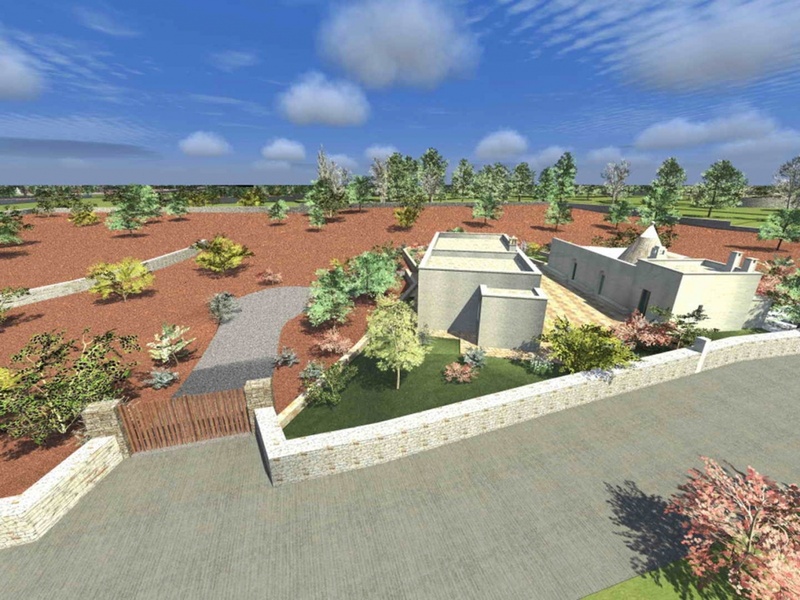 In total there will be a dwelling area of approximately 120 sqm. 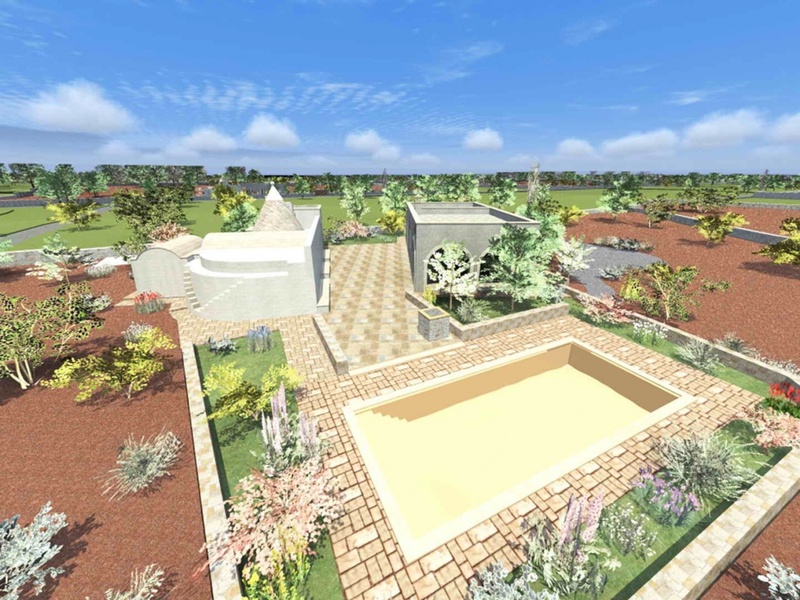 There will be a swimming pool measuring 10x4m.